Nurses and other hospital staff must alert a consultant if a patient with suspected sepsis does not respond to treatment within an hour, new guidance states. Trusts in England could face fines if they do not comply with the mandatory NHS guidance, which comes into force in April. 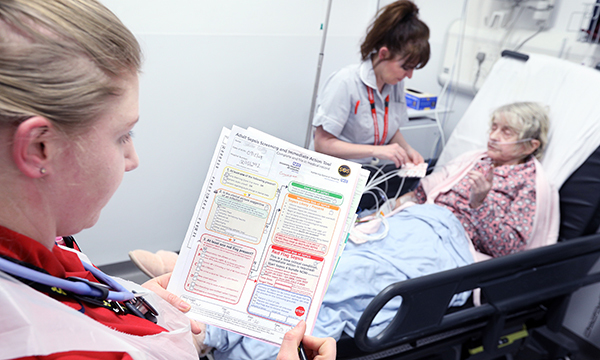 The document, drawn up with organisations including the National Institute for Health and Care Excellence and the UK Sepsis Trust, aims to cut sepsis deaths. It states staff should look for sepsis at an early stage in adult patients presenting at emergency departments (EDs), and among in-patients. They should also listen to concerns of relatives and carers about acute changes in behaviour. An estimated five people die from sepsis every hour in the UK, according to the UK Sepsis Trust. The guidance links to the NHS Long Term Plan and is mandated in the NHS standard contract, which is enforced by clinical commissioning groups. Fines can be imposed on organisations failing to fulfil the contract. Increasing screening rates in EDs from 78% in 2015 to 91% in 2018. Increasing screening for existing in-patients from 69% in 2016 to 86% in 2018. Prompt antibiotic treatment rising from 69% to 83% in the same period. East and North Hertfordshire NHS Trust sepsis lead nurse Anne Hunt, said: 'As the most senior clinical decision-maker in a patient’s care, consultants need to be involved early when the first line of treatment doesn’t work.